Like most other months, new slot titles are released every week and there are a few from 2019 that have already become favorites. Sometimes though it’s enough that the titles feel new and case in point, the 888 Casino is offering new releases left, right and center. Although these aren’t technically “new” on the market they have just been launched at this betting website. To start with they released the full Yggdrasil game catalogue who are known for the Vikings Video Slot franchise. They also recently released Dwarf Mine Slots that has fun bonus rounds, great graphics, and an exciting soundtrack. They have a number of other great titles including Penguin City, Jungle Books, Easter Island, Power Plant and Dark Vortex. One of our favorites released in January of this year was CaZino Cosmos Slots, which is totally space-themed with “Sticky Wilds”, unique Wilds for each reel, and offers five free spin modes with names like: “Card Shot”, “Hack”, “Zero Gravity”, “Mutation”, and “Expansion”. With colorful graphics as well the potential for winnings 10,000x your wager amount, it’s complemented by an awesome unique storyline and wacky characters. 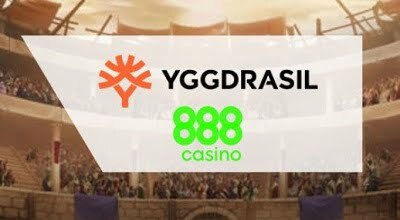 In addition to the Yggdrasil titles and others you can read about in our exclusive review of the 888 Casino, they also just went live with the Red Tiger portfolio of games. These HTML5 slots offer progressive jackpots and a tournaments feature, and titles include Pirates Plenty, Mystery Reels and Dragon’s Luck and many others. New machines are constantly being released at this place and they have plans to add hundreds of others over the next 12 months. Not to mention, they have great promotions launching on a weekly basis. So if you’ve never been there before, go check out 888 Casino and sign up to get $88 in free chips to try them out, without even making a deposit.